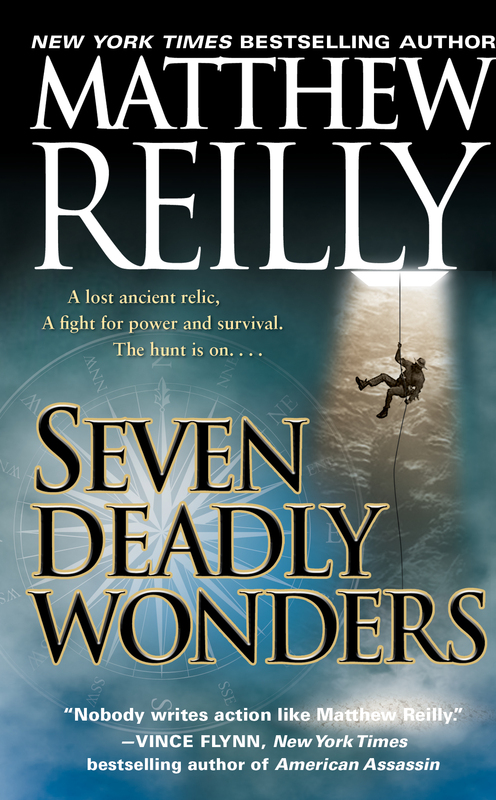 Indiana Jones meets The Da Vinci Code in this nonstop action-packed thriller about the greatest treasure hunt of all time—a headlong race to find the seven wonders of the ancient world. An ancient secret...a team of heroes...the adventure of a lifetime. A legend of the ancient world decrees that every 4,500 years, a terrible solar event will wreak worldwide destruction...but whoever sets the Golden Capstone atop the Great Pyramid at Giza will avert disaster and gain the ultimate prize: a millennium of world dominance. Now the Sun is turning once again and nation will battle nation to retrieve the missing Capstone...but a group of small nations, led by super-soldier Jack West Jr., bands together to prevent any one country from attaining this frightening power. Thus the greatest treasure hunt of all time begins—an adrenaline-fueled race on a global battlefield. From the Colossus of Rhodes to the Hanging Gardens of Babylon to the Great Egyptian Pyramid itself, unlock the thrills of Seven Deadly Wonders.